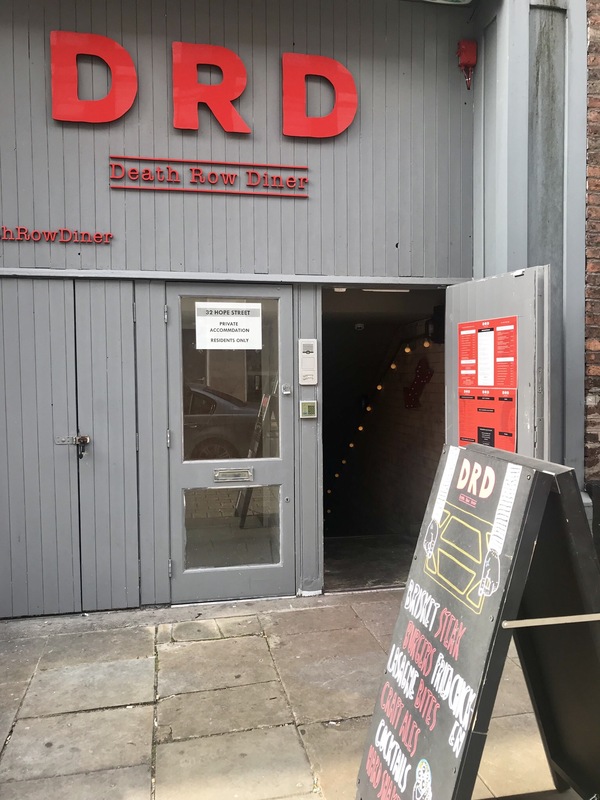 The Death Row Diner is situated on Hope Street in Liverpool and is very close to the Catholic Cathedral, University and the Philharmonic Hall. It’s about a 10 minute walk from Liverpool Central station. 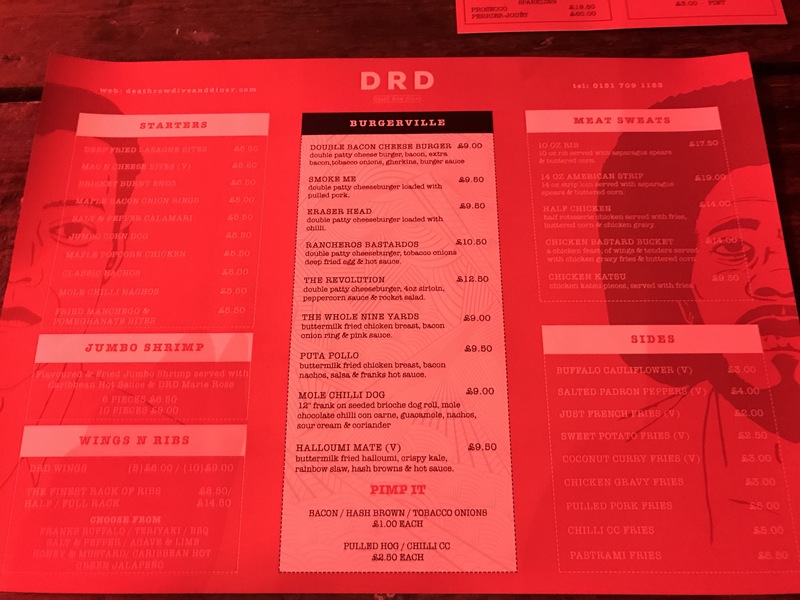 This is my review of a recent lunch at the DRD , which I would rate as 9/10 for value and food. 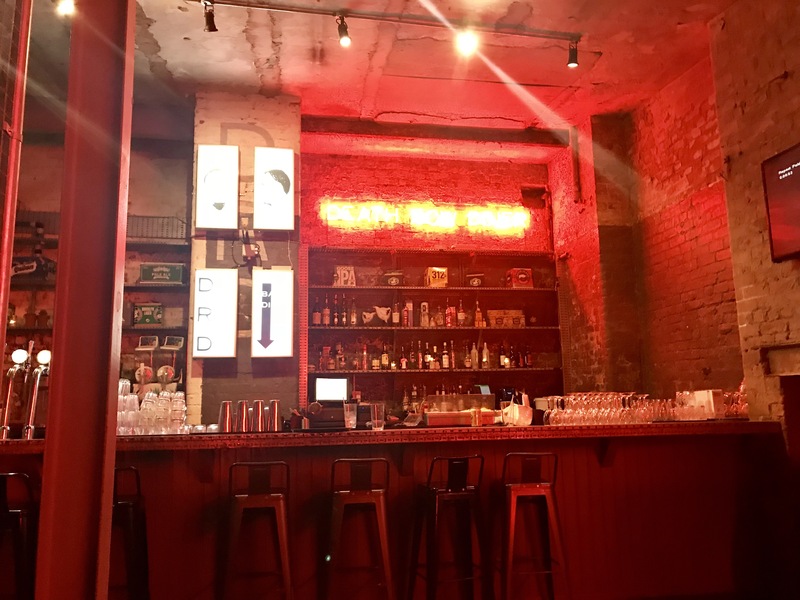 The bar is large and but when we visited at lunchtime was very quiet. I would expect it to be buzzing later on towards the evening. At the time when we visited there was only a couple of people eating but when we left about 3pm it was starting to fill very quickly. As you can see there is plenty of space. 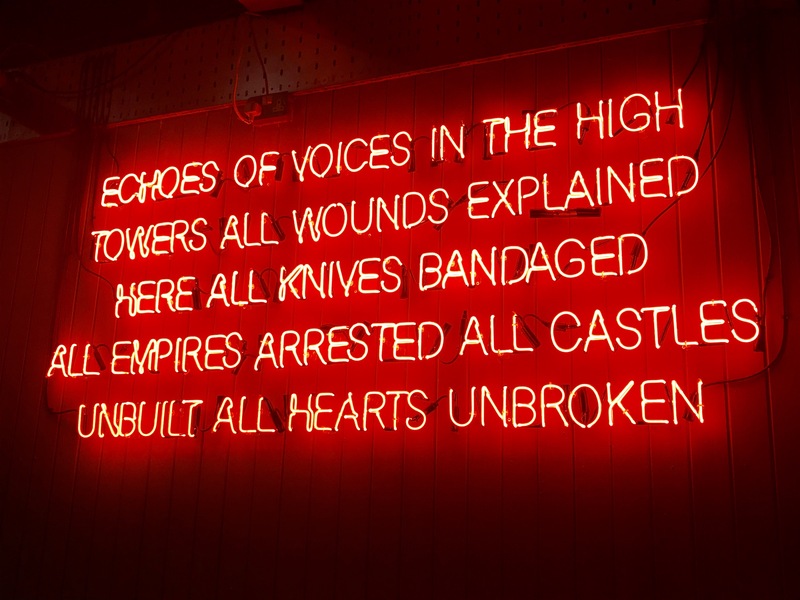 On the wall in the restaurant is a bright read neon sign. Not sure where the quote is from though! Don’t come here looking for a salad or something similar. It’s burgers, ribs, fries etc. 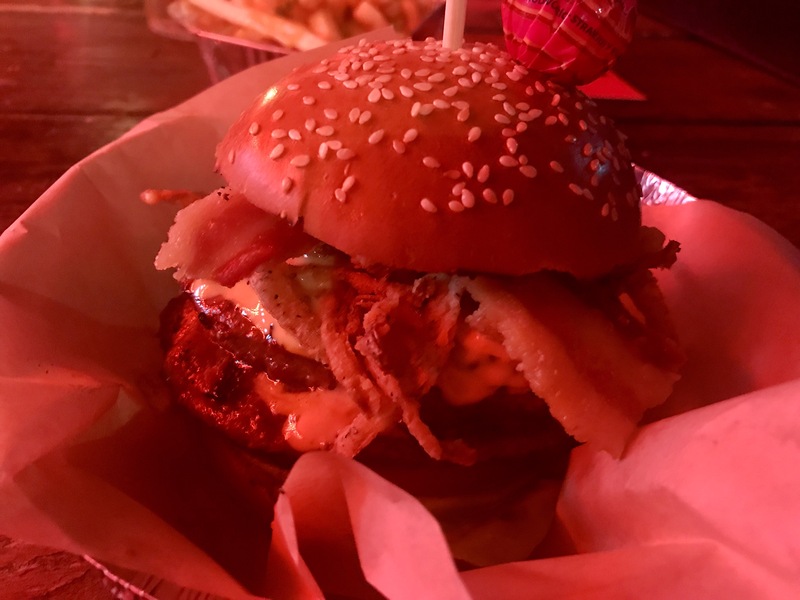 I had the bacon double cheeseburger which was excellent. Both burgers cooked to perfection and the bacon was very crisp. 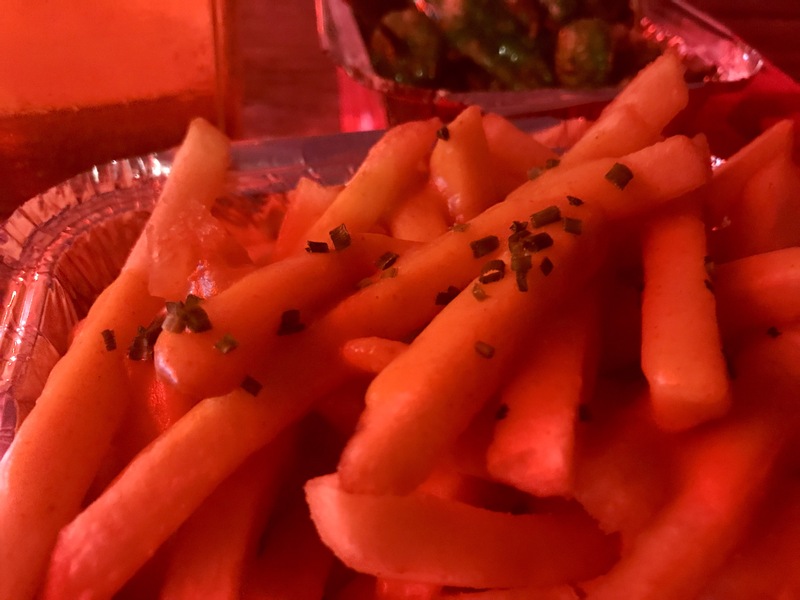 You must try the Coconut Curry Fries. Won‘t say much more but excellent. Here is the full menu so you can see all the wonderful choices of food. 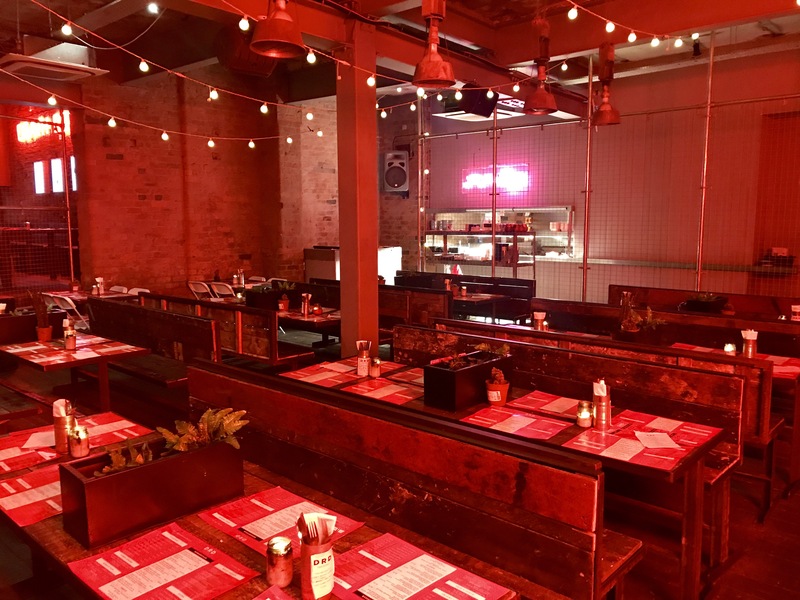 If you are in Liverpool near the Catholic Cathedral, University or Philharmonic Hall then do stop for a bite to eat here. It’s a great experience for anyone young or old.